We completed a project for a home on Old Grove Manor in Jacksonville, FL. 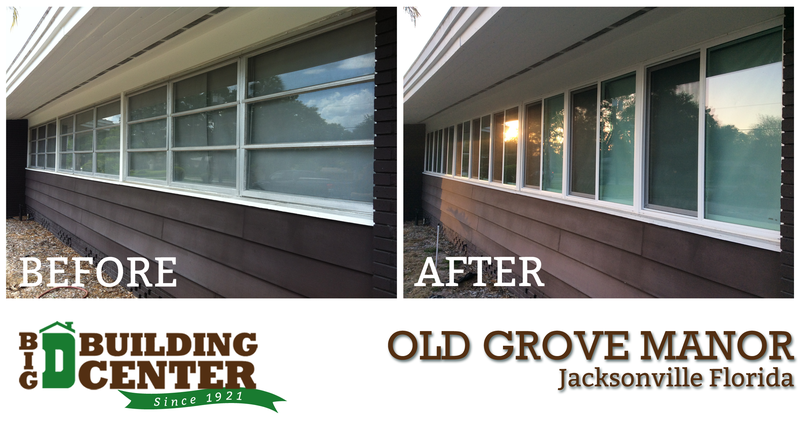 We replaced their aluminum windows with Vinyl Horizontal Sliders by Jeld-Wen. The Horizontal Sliders make it much easier to open up that side of the house to let in some fresh air. We replaced a total of 9 windows and look at what a difference it’s made! Give us a call so we can come out and help you change your existing windows, doors and siding, (904) 350-6600.